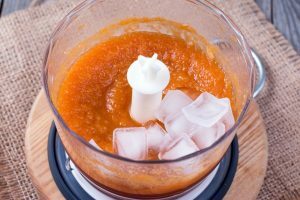 That full-sized countertop blender is excellent when you have a big pitcher of margarita to mix up for a social gathering with friends, or the whole family fancies a special ice cream sundae float at the weekend. 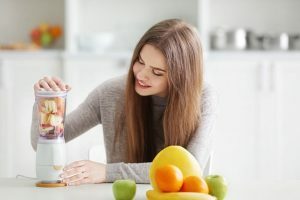 However, for daily quick and easy smoothies and shakes, especially single-serving ones that you can grab and go on a morning, the bullet blender is ideal. Not only do they work like a treat and take up just a small amount of space thanks to their minimal footprint, but they are typically quick and easy to clean up too. So far, sounds like the bullet is a winner to us! 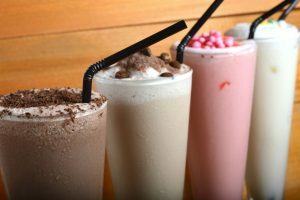 They get their name from their shape but also we like to think because they are as fast as the proverbial bullet when to comes to whipping up a delicious smoothie. Compared to a traditional blender, the chamber itself is much smaller in capacity, but that’s because in most instances they have been uniquely designed so that you drink and go. Twisting off the blender compartment itself, add on a lid supplied and you are ready to go and drink without having to decant into an additional portable drinking cup. If you love to start the day with a protein shake or milk and fruit-based smoothie to give you energy for an early morning gym session or that daily work commute, the bullet blender is the perfect, cost-effective and convenient choice. So, let’s take a look at three top recommendations in the best bullet blender category that combine the best of all worlds; attractive price point, good amount of horsepower, nice selection of features, robust blade design as well as ease of cleanup after use. The Chulux is a great cost-effective option if you want an easy-to-operate one-touch blender that can prepare single-serving smoothies and shakes that you can conveniently enjoy on the go. The compact and space-saving design means that it will fit in most smaller sized kitchens and can also easily be stored away when not in use. 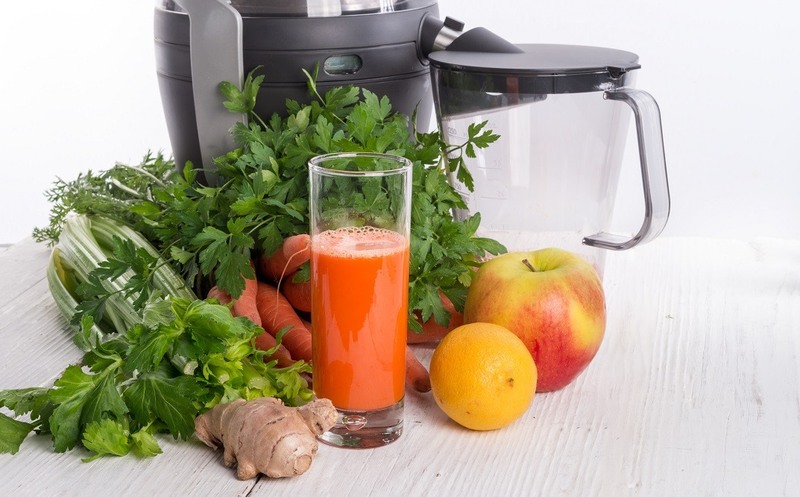 The powerful 1000 watt motor, combined with blades that spin at 26,000 RPM, means you can effortlessly pulverize plenty of different ingredients to prepare blended drinks, smoothies and also baby food. 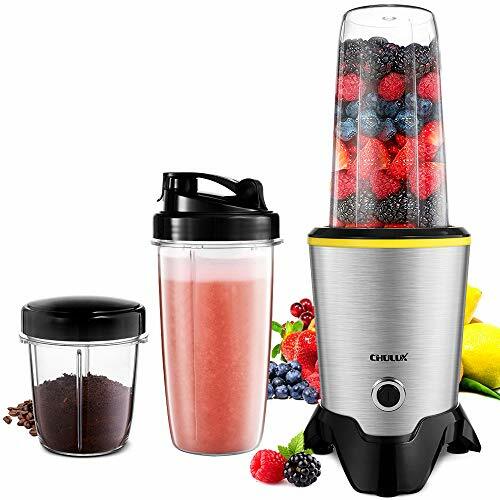 With a heavy-duty aluminum base and even silicone suction pads, the Chulux Bullet Blender remains stable and runs smoothly and quietly during use. It additionally features a safe lock and fit lid design which ensures your food stays within the blending jar and doesn’t leak. Two different sizes are included along with a travel lid for portability. You get both a 35-oz. as well as handy travel sized 14-oz. smoothie cup that are both made from BPA-free Tritan plastic. 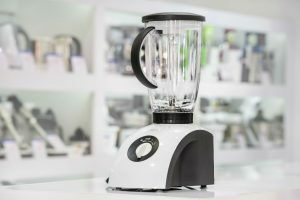 If you are looking specifically for a budget-friendly, easy-to-use, solitary-serve bullet blender then the Willsence 300W makes, well, quite frankly, a lot of sense. 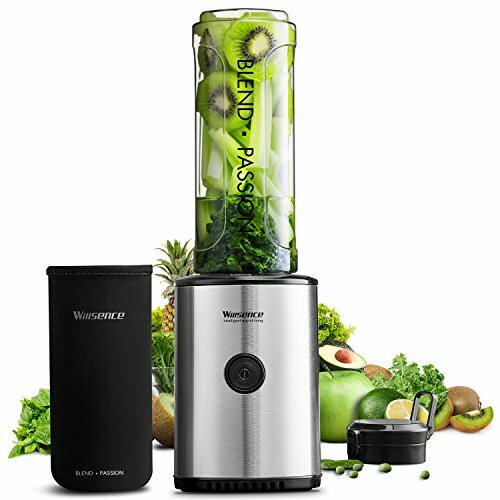 It delivers delicious juices and nutritious smoothies and takes up next to no space in your kitchen. It couldn’t be easier to operate. You simply load up all your favorite ingredients into the 20-oz. capacity sports-style bottle provided, attach it to the safety lock system, press the one-touch blender button and away you go. You remain in complete control of the results, pressing and releasing the control button as many times as needed until you get the perfect, smooth results you are looking to achieve. It’s a simple, quick and convenient solution to blending nutritious drinks that you can grab and go. With a leak-proof lid, and easy-to-carry handle, as well as a cup sleeve, the Willsence 300W personal bullet blender is perfect for those of you on a limited budget but who still want a sleek and elegant looking blender. 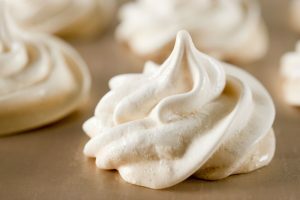 It performs well and is easy to clean and dishwasher safe too. 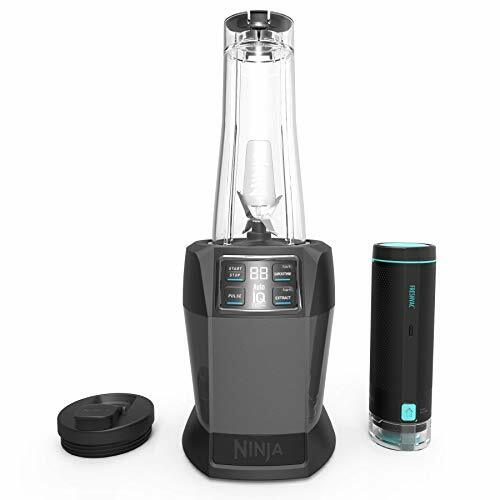 With its powerful 1100-watt motor alongside Nutri Ninja’s ingenious FreshVac technology, this next bullet blender really locks in plenty of flavor and nutrients to deliver nutritious and delicious shakes. The beauty of the FreshVac system is that it draws air out of the blending container before you even begin the blending process which removes unwanted oxygen for more nutrient-dense and healthier results. 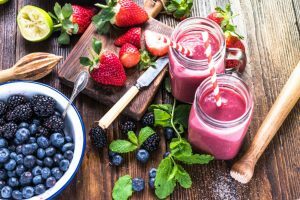 FreshVac not only brings out the vibrant colors of those fresh fruits and vegetables for a visually appealing and attractive looking smoothie, but it also adds to the rich taste and smoothly textured flavor. 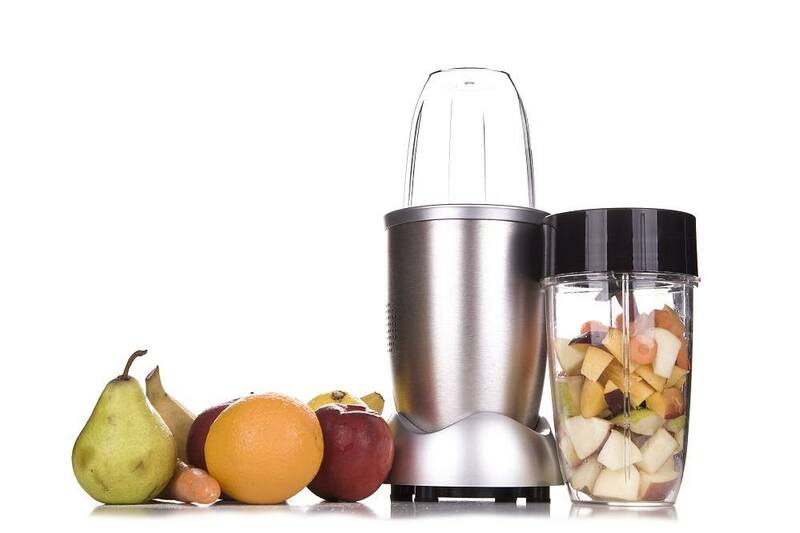 The Nutri Ninja also features Auto IQ technology which uniquely combines both blending and pulsing action to deliver better-pulverizing results. This on-board Auto IQ system takes the guesswork out of the preparation for you. All you need do is select one of the two settings, and the machine does the hard work. Blending is easy and efficient, you simply fill the cup with your ingredients, secure to the base and blend away with that powerful 1100W motor. Included with your purchase are two 24-oz. single-serve FreshVac cups with lids for that on-the-go convenience. 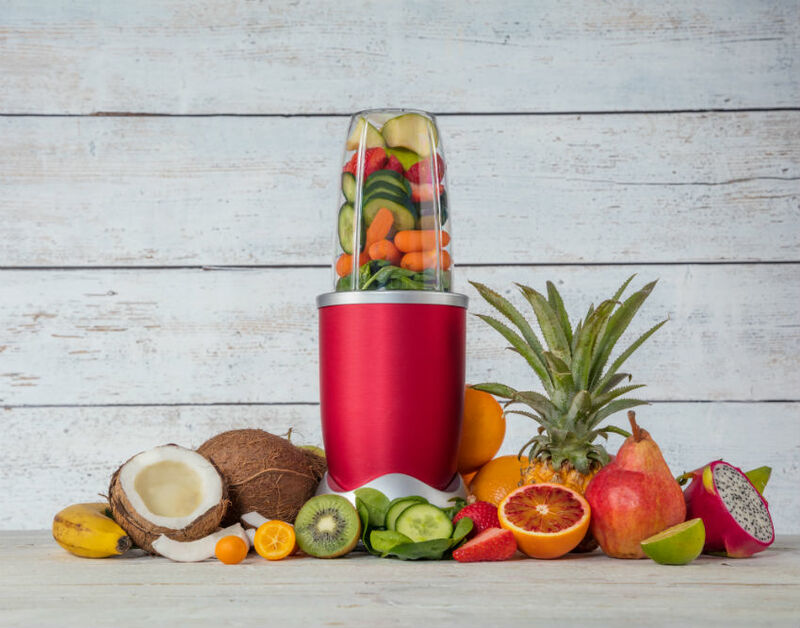 It doesn’t matter how limited your budget might be, there is a versatile, and reliable bullet blender that is more than up to the job of whipping up delicious and nutritious smoothies and shakes that you can enjoy on the go. 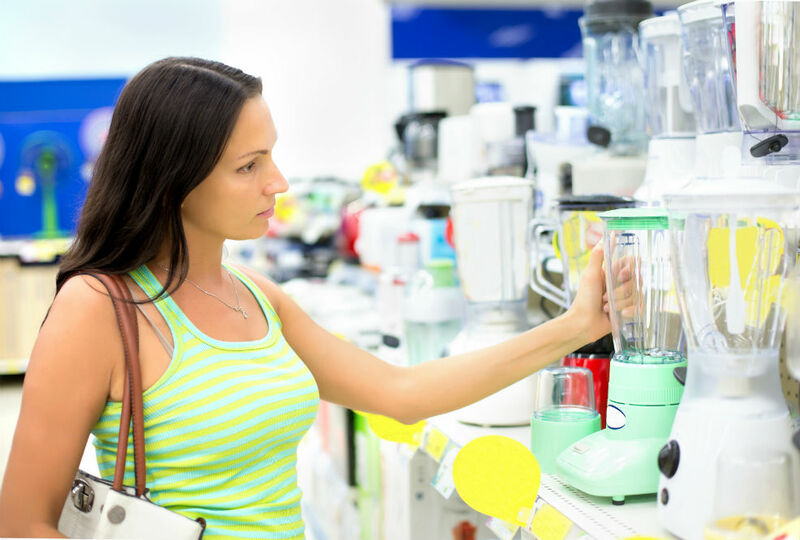 As our three best bullet blender recommendations today prove, even if you have under $50 to spend, you can still find a reliable, compact and convenient personal style blender. A bullet blender is an ultra-convenient and no-nonsense way of whisking up a morning smoothie or that post workout protein shake. Why bother with getting out the heavy-duty blender when all you need is a single serving smoothie? Simply select your favorite ingredients, add them to your bullet cup, then when you’ve reached the right consistency, pop on a travel lid and you’re are ready to sip that smoothie, with no annoying cleaning up required either. 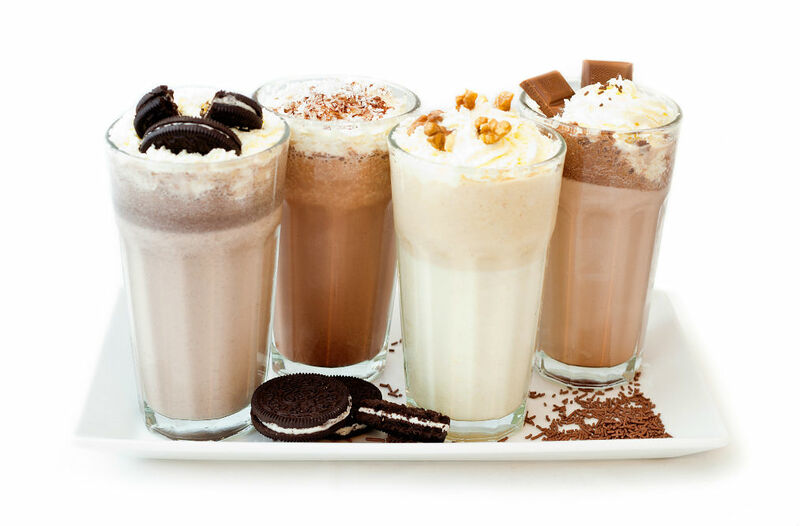 It’s blending made easy – maximum taste, minimum fuss!